Our volunteer Fran Koukal received a bell from Ben's Bells on March 30th. The Center had a cake and gifts of fabric and ribbon for Fran. Ben's Bells honors someone each week who makes Tucson better. Fran began volunteering at the UNA Center in 2005. She noticed that there was no gift-wrapping for jewelry gift purchases and decided to do something about that. She began to sew small drawstring bags to serve this purpose. Customers can choose from bags in a variety of colors and prints. Fran purchases some of the fabric and some is donated by other volunteers. 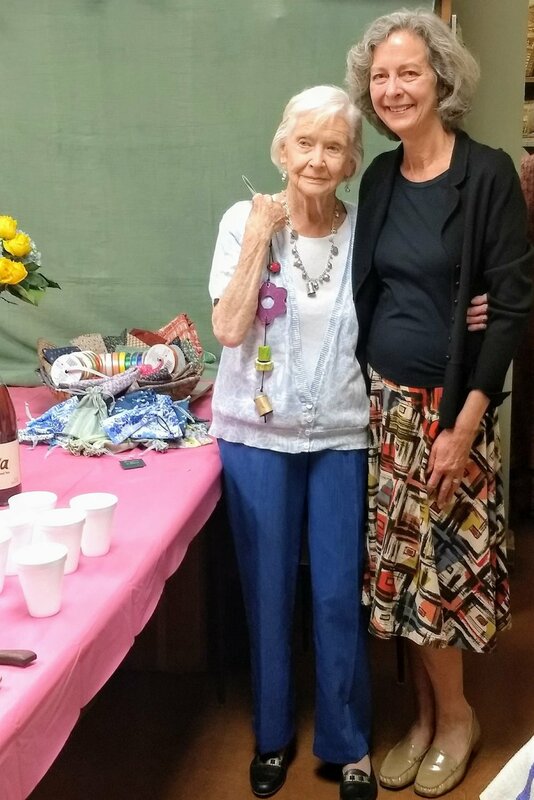 This year Fran, who is 94, made more than 1,100 bags.